Looking for family adventure? From exploring the back roads of West Marin and the Wine Country to family road trips throughout California, you'll find great ideas for family travel here. California has no shortage of fantastic destinations for families—from the Pacific beaches to the High Sierra mountains, there's something for everyone! Here are our picks for 7 fun places to visit during Spring Break. It's never too early to get the little ones introduced to camping and the outdoors. 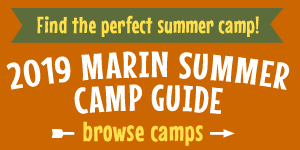 We've put together this guide to perfect places for a first-time camping experience with the kiddos. All Aboard Sports Basement's Tahoe Ski Bus!